But is it too loopholed to actually be useful? The good news for consumers is that state lawmakers in New York are moving forward with a proposed bill which, if passed into law, would be the first “right to repair electronics” bill in the nation. The bad news is that a careful look at the bill's language suggests that even if it does pass into law, that law would have too many loopholes and exemptions to be of much benefit to consumers anyway. State Senate bill S3998 – available in .pdf form here – would allow New Yorkers with electronics in need of repair to take their business to independent repair shops, as opposed to manufacturer-authorized dealer repair stores, and allow independent repair shops to fix electronics and buy the parts needed to do so — neither of which the current legal status quo allows. What is this “ridiculousness” to which Cushing refers? To offer just a couple of examples: Immigrations and Customs Enforcement agents have raided smartphone repair shops in South Florida – not for hiring undocumented immigrants, but for repairing phones with aftermarket replacement parts rather than official Apple-branded pieces. And Apple once sued a 17-year-old high school student for selling conversion kits that would let iPhone owners put different-colored backs on their phones. Ideally, S3998 if enacted into law would end the practice of imposing such civil or even criminal penalties on people who repaired their own phones with non-branded parts. The problem with S3998, from the perspective of someone who does in fact support consumer right-to-repair laws, is that the bill might have too many exceptions and exemptions to be of much use. The bill's language also says that it should not “be construed to require a manufacturer to divulge a trade secret” – in which case we can all expect to see electronics manufacturers trying to slap the “trade secret” label onto pretty much everything this law would require them to divulge – and also expect lengthy courtroom battles over exactly what is and isn't a “trade secret” for electronic-repair purposes. NOTHING IN THIS SECTION SHALL BE CONSTRUED TO REQUIRE MANUFACTURERS OR AUTHORIZED REPAIR PROVIDERS TO PROVIDE AN OWNER OR INDEPENDENT REPAIR PROVIDER ACCESS TO NON-DIAGNOSTIC AND REPAIR INFORMATION PROVIDED BY A MANUFACTURER TO AN AUTHORIZED REPAIR PROVIDER PURSUANT TO THE TERMS OF AN AUTHORIZING AGREEMENT. "Non-diagnostic" could become the new "diagnostic." And the use of the word "and" seems to make "repair information" off-limits if any agreements are already in place with authorized dealers and repair shops. There are other potentially problematic bits of language to be found in the four-page mostly-capital-letters document. Even so: New York's proposed bill is still more than any other state-level government has attempted. On a federal level, two congressmen (one Republican and one Democrat) proposed a related consumer-protection bill earlier this February: the “You Own Devices Act,” or YODA, would extend personal ownership rights over various types of software-controlled consumer electronic devices, and let consumers buy and sell used electronics of various types. But other bills similar to YODA had been introduced before Congress before – and every one of them failed. Even YODA's own supporters didn't think it had much chance of passing; it was more a chance to make a bipartisan statement than anything else. 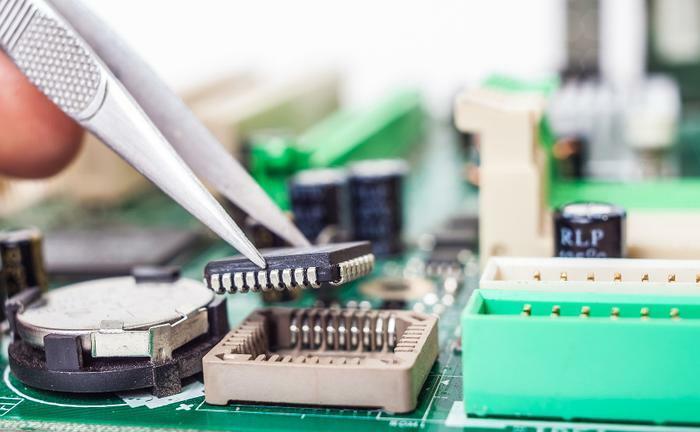 It remains to be seen whether New York State's proposed right-to-repair-electronics bill will prove similarly symbolic; the current New York State's legislative sessions will end in June.